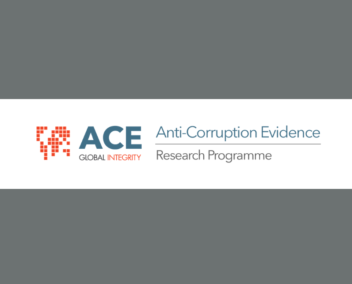 Previously, we used an innovative Big Data methodology to objectively proxy corruption risk and use our novel data to assess how donor control mechanisms and recipient country sociopolitical contexts affect corruption risks in aid spending. We propose to dig deeper into the impact of changes in sociopolitical contexts by focusing on recipient-country regulatory frameworks and their interactions with donor regulations. Moreover, we would extend the analysis to include displacement effects, i.e., whether improving controls in one area prompts corrupt actors to shift corruption to other areas with weaker controls. This more complete analysis of donor-recipient country interactions relies on collecting national public procurement data additionally in 10-12 countries and combining them with the already collected donor tender and project data. Furthermore, we would complement our quantitative analysis with in-depth qualitative research in four countries, and ensure maximum impact by conducting workshops to train local stakeholders in our method and software. To learn more about this project see their site or contact Principal Investigator Liz Dávid Barrett at the University of Sussex, UK at E.David-Barrett[at]sussex.ac.uk.